The creators behind Parappa the Rapper and Gitaroo Man will be teaming up for a new project. 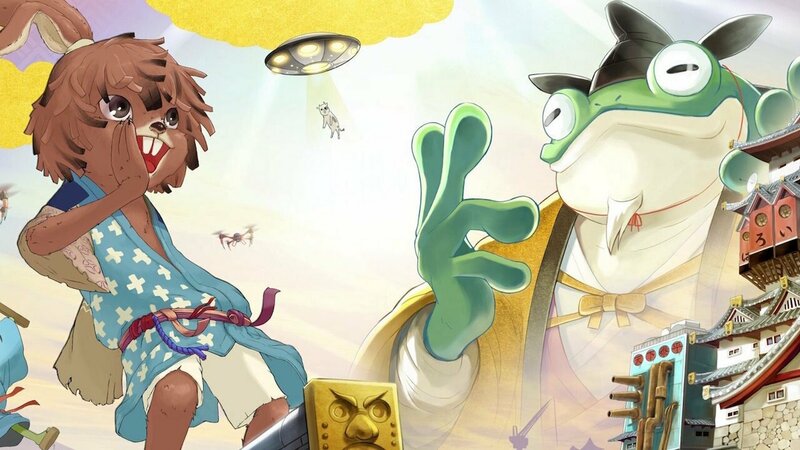 A new music-action adventure titled Project Rap Rabbit is in development as a joint project between Parappa the Rapper developer NanaOn-Sha and INIS, the creators behind Gitaroo Man. A website was recently opened for the new project, along with social media accounts for Facebook and Twitter. A short teaser trailer was uploaded on YouTube, offering a key visual of a feudal era Japanese castle along with an anthropomorphic rabbit and frog. An instrumental hip-hop track accompanied the video, likely sampling the style of music to be featured in the game. No further details have been announced for Rap Rabbit yet, but more news is expected to be revealed in the near future. NanaOn-Sha is often credited as the developers of the first modern rhythm game, Parappa the Rapper. Founded by game designer and Japanese musician Masaya Matsuura in 1993, NanaOn-Sha has produced a number of popular titles within the rhythm game genre. Project Rap Rabbit will be the company’s first title since 2015. Last month, Sony released a remastered version of Parappa the Rapper on PlayStation 4. INIS is also a Japanese developer that specializes in rhythm games. The company was co-founded in 1997 by Keiichi Yano, a game designer and jazz musician. One of INIS’s most well-known titles is the PlayStation 2 cult classic Gitaroo Man, released in 2001. The game was ported to the PlayStation Portable in 2006. Another well-received title was Osu! Tatakae! Ouenden! For the Nintendo DS which was remade for English-speaking audiences as Elite Beat Agents. INIS also created the Microsoft published Lips series for the Xbox 360 and most recently, Just Sing which released on PlayStation 4 and Xbox One in September last year.